My buddy Carlos posted a sweet Predator Illustration over on his blog last week and convinced me to do a sketch. Also make sure to check out some Predators concepts by Alex Toader here. 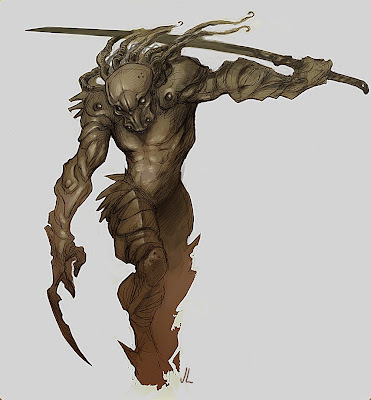 wow so sweet, kinda looks like a ninja predator, which might not be a bad idea. Once the Predator start busting out katanas you know you are in trouble! Great as always!